People say a picture is worth a thousand words. Well then, how many coherent words do you think the following pictures have to offer? Let me express my gratitude to the persons appearing on this page for their bravery in agreeing to participate in Ikani's digital experiments. Their contributions have led to many untold (and best forgotten) achievements in the realm of science and technology and, most of all, entertainment in Nigeria, the African continent and the world as a whole. 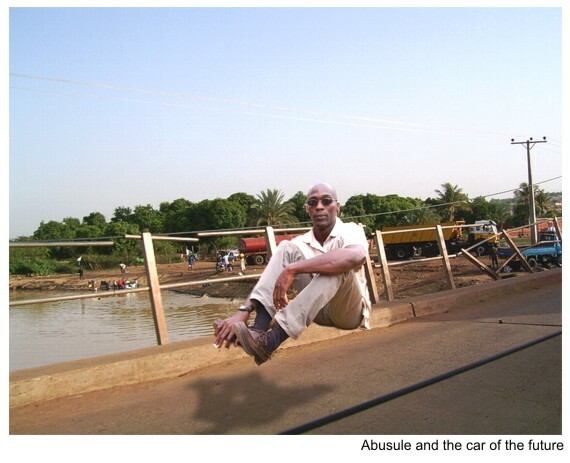 Architect Abusule is a great fan of cars. So it's no wonder that he has had a profound interest in messing around with automobiles (often causing local mechanics to hiss a lot), watching BBC TopGear and every now then attempting to produce a car design of his own. His picture here has got to be his most popular on the World Wide Web. 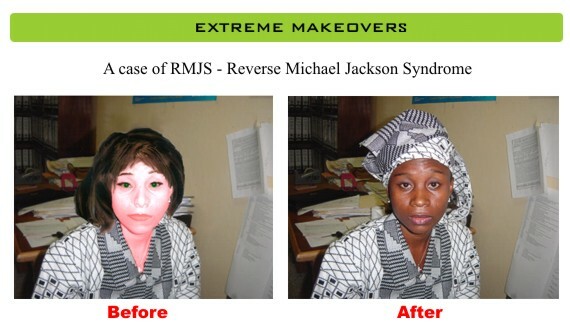 Roselyn Iktodovitch probably made history by volunteering in Ikani's notorious Become Nigerian Digital Surgery procedure (also known by some clowns as the Reverse Michael Jackson Syndrome) which saw her transformation into a 'correct Nigerian'. The operation was totally painless as she ad no idea of her picture which had been nicked... borrowed for the experiment. Look closely at the picture. That's right, you're looking at exactly the same face (hair being the only subtraction). It was especially important to get the nose job done right plus the skin tone (that only took a few hours in an oven at the local bakery). Allright, allright, let's be serious here! The experiment was a success and today, Roselyn lives happily as Roselyn Itodo in Nigeria and is interested in making pen pals from around the globe (Canada in particular). You can contact her by sending emails to roselynitodo@yahoo.com or visiting her homepage at http://www.geocities.com/roselynitodo . 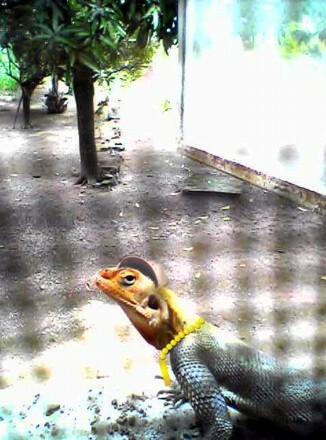 A baseball cap and lots of blingbling makes this this Nigerian lizard stand out from all the rest. The rapper with its 'bad reptile' image has caused quite a lot of controversy in the world of Hip Hop and Wall-To-Wall-Hop. Critics have called its lyrics anti-human, abusive to insects and sends out the wrong message to the youth about the goodness of being cold-blooded. Some artistes have even condemned its style of Hip Hop saying all it is, is commercial crap without any artistic content whatsoever. They point out the fact that since no instruments are needed only computer generated sounds and voice-tuning software, talent is no longer a factor in the production of the countless albums flooding the market today. Some birds can't even sing anymore, they merely resort to the use of ringtones on mobile phones to attract their mates. Despite all the criticism, BlingBling Lizard has been one of Ikani's most successful discoveries. Songs like The Real Slim Scaly and Axel Fly have been chart-toppers with the album 6 Million Ways To Chew A Fly going platinum eleven times in just three years. Anyone with anything interestingly funny to share can send an SMS message to Ikani on the phone number +234-805-7969383.